NEW CONSTRUCTION BUILT BY TYLERHOMES. 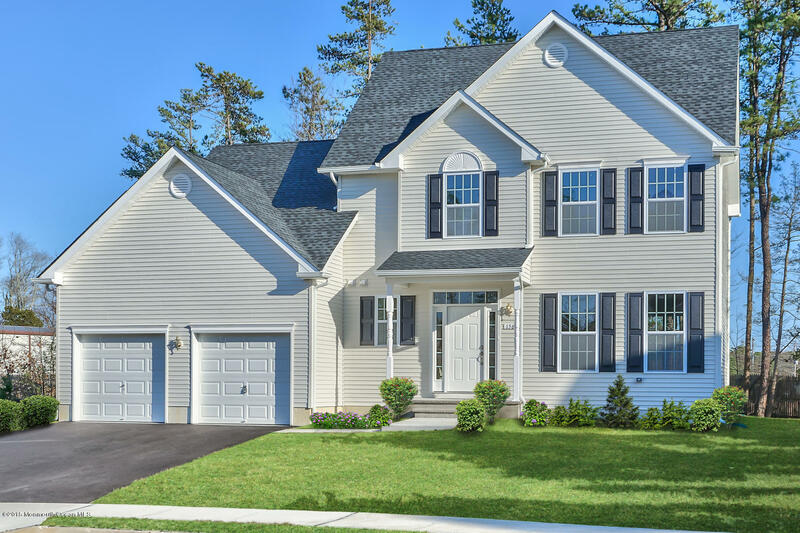 QUICK DELIVERY -SPECIAL COLONIAL INCLUDES FRONT PORCH, 4 Bedroom 2.5 bath spacious Colonial (2155 SF)with DREAM KITCHEN AND FULL BASEMENT. HOLIDAY SPECIAL FIRE PLACE NOW INCLUDED, LIMITED TIME ONLYMany lavish touches included as standard.42 inch cabinets, granite tops, SS appliance package. Situated on a private tree line cul de sac. Large lot(13,222 sq. ft.) Close to GSP, Route 9, beaches and shopping. BEAUTIFUL NEW SUBDIVISION JUST 1 LEFT! FINISHED BASEMENT IS AN OPTION. A RARE COMBINATION OF GREAT COMMUNITY, VALUE, ANDLOCATION. MINUTES TO GSP, RT.9, BEACHES AND SHOPPING. Still time to work with builder on some interior finishes.